There is no doubt that Michael Bruno, founder of 1stdibs, a site I, along with every other design-obsessed person I know visit often, is tremendously stylish. Just think of the access he has to some of the most amazing furnishings in the world! 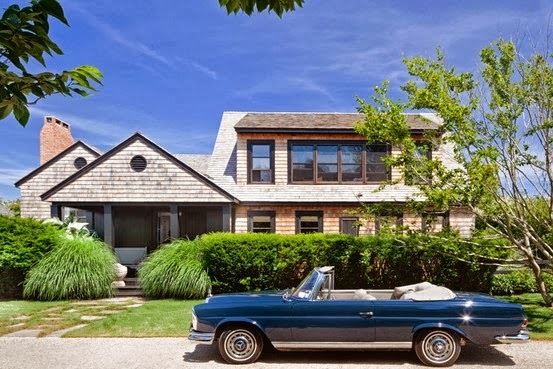 So, it came as no surprise that his home in the Hamptons would be as chic as it is. 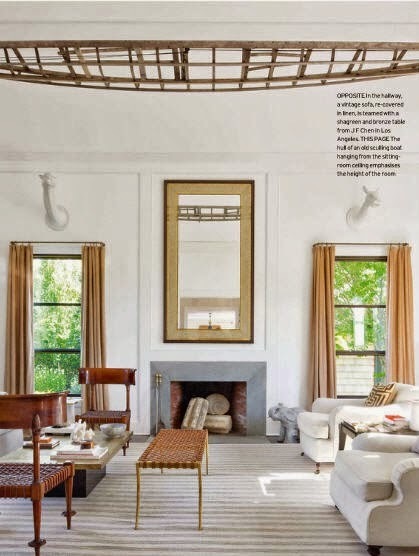 The house, designed by Windsor Smith was recently featured in British House & Garden. 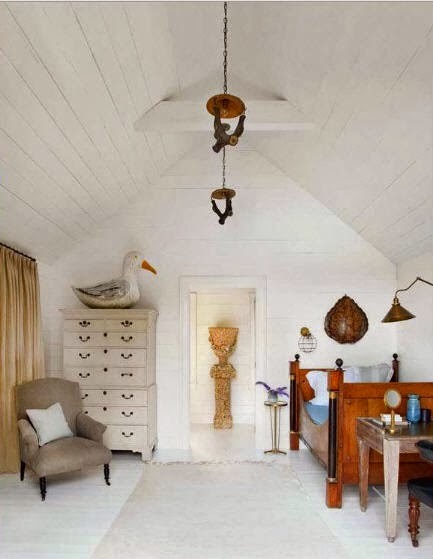 Never having worked with a designer before, Michael says, "whenever I've done a house in the past, I've simply painted all the walls white and the floors black to create a gallery-like effect. This is a truly designed house, down to the right window coverings, upholstery, and even linens. It's taken the comfort to a new level." 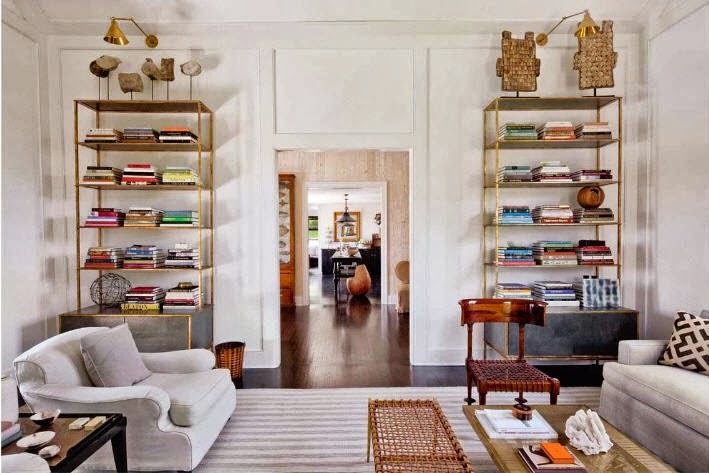 The result is polished, beautifully layered, and reflective of Michael's taste and experiences by providing an ideal environment for displaying his collections. This space is insanely cool! Love!!!! What a gorgeous home! 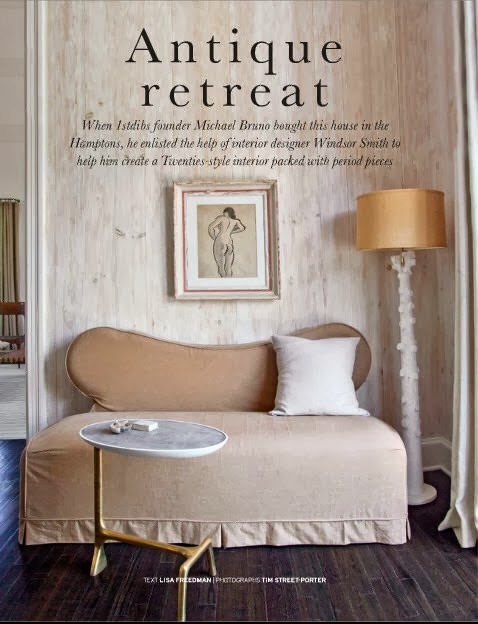 I liked seeing Michael Bruno at Design Bloggers Conference and I think someone mentioned his home, so it's fun to see what was being talked about! That pool area is incredible and a good friendly reminder that, yes, warm weather is actually coming.